The Write Stuff Series: 4 Questions that Help Tell Your Small Business’ Story - Mischa Communications, Inc. Mischa Communications, Inc. This is the second installment in our The Write Stuff series in which we’re offering small businesses tips on writing better marketing copy. Click here to read the first article on must-read social media updates. When you boil it down, good marketing is about one thing: telling your small business’ story. We are firm believers in the power of a well-crafted story – after all, it’s a big part of what we do here at Mischa Communications. However, we recognize that not everyone has a penchant for putting pen to paper (or fingers to keyboard). To help you out, here are some questions we ask when figuring out how to tell a small business’ story…and how to make it a must-read. The concept is simple: No one’s going to buy from you if they don’t know exactly what you’re selling. For example, there are numerous photography companies out there, but if you specialize in taking pictures of weddings or babies, then you need to say so! Being clear about what you sell frames your small business’ story and helps customers identify whether you’re selling what they’re looking to buy. What’s the one thing in the world that your small business does better than any other? If prospective customers compared your products or services to your competitors’, what two or three aspects stand out as different? For example, say you offer accounting support services to businesses that have been audited. Differentiation points could be that you formerly worked as an IRS auditor, you’ve lived through an IRS audit yourself or you’ve successfully guided more than 1,000 businesses through the audit process. You need to find a piece of your story that will keep your business lodged in the reader’s mind, then make it a core focus of your message. The most successful businesses know their target demographic. If you run a life coaching practice, your specialty might be executives, financial services professionals or stay-at-home moms transitioning back into the workforce. The needs, concerns and emotional triggers are going to be very different for each of these groups. Identify who you serve and what they care about. Then you’ll be able to hone in on the parts of your story that are relevant to your target audience. It’s one thing to just sell a product or service. It’s another thing to capture the essence of why customers need what you’re selling and the problem it solves. For instance, if your target market is entrepreneurs, they might have problems such as needing a better accounting systems or assistance hiring and training new team members. If you define the problem you solve — for instance, your company helps with recruiting — then you’re letting potential customers know why they need you. If you can provide answers to all these questions, you can craft a story that’s distinct, compelling and helps you achieve your small business’ goals. 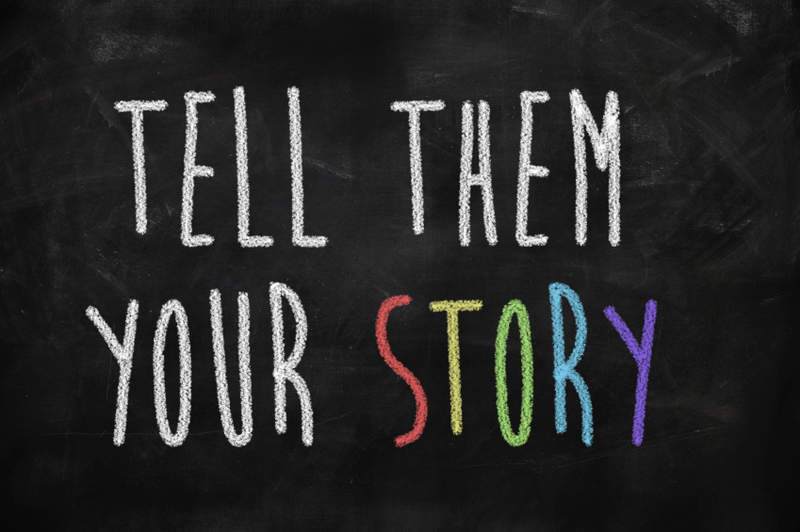 Need help telling your small business’ story? The Mischa team includes to some innovative wielders or words that rival the Grimm brothers’ story-telling abilities. Contact us today to learn how we can craft a narrative that will help your small business stand out, attract leads and increase sales.